Lot Detail - 1960 Topps Harmon Killebrew #210 baseball card Nice condition! 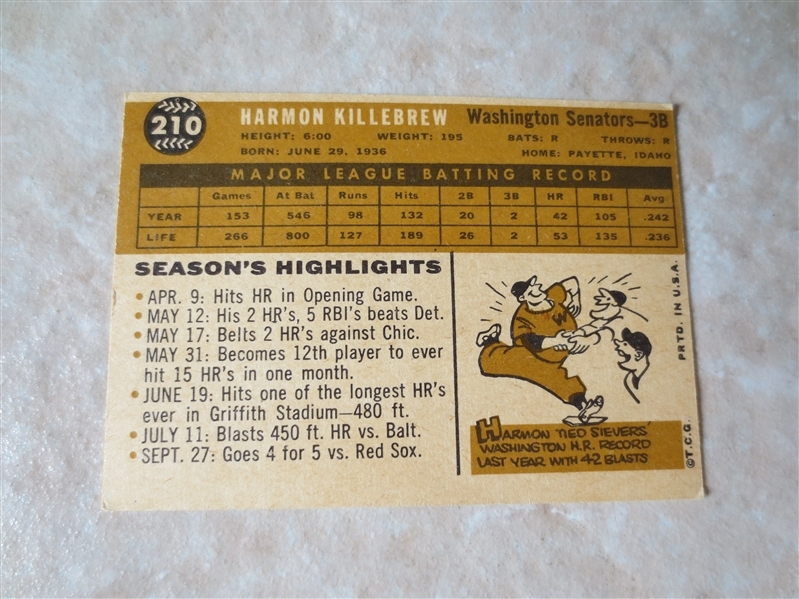 1960 Topps Harmon Killebrew #210 baseball card Nice condition! 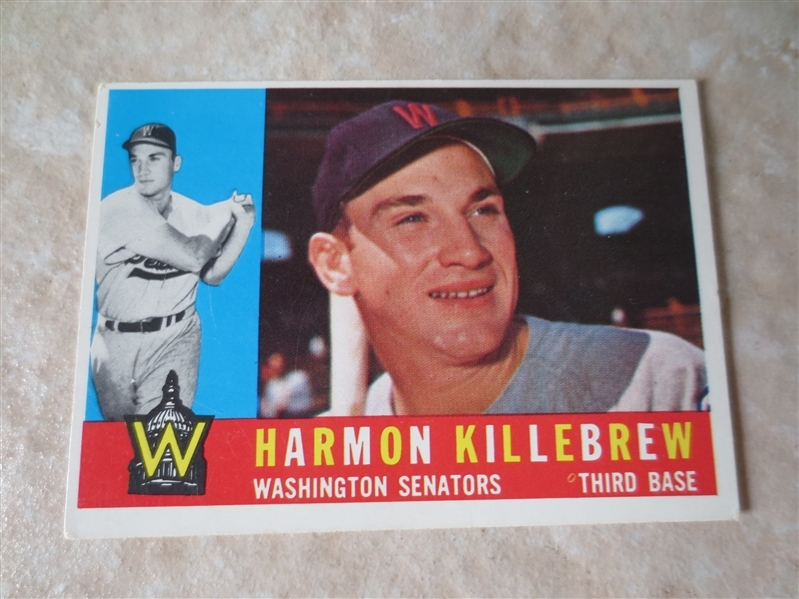 1960 Topps Harmon Killebrew #210 in nice condition for this Hall of Famer.